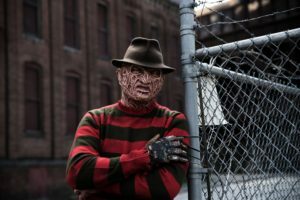 Nightmare Worcester is New England's ONLY screen accurate Freddy Krueger Cosplay Entertainer! Based out of Worcester, MA - Nightmare Worcester has made appearances all over New England including Boston's own Fenway Park! An encounter with Nightmare Worcester will leave you hoping that its all not just a dream. Remember....Don't fall asleep!"